The carmaker said the homologated range would be applicable to the higher-power 64kWh version, which also brings an official WLTP range of 382 miles (615km) for city driving. However, the fully electric model, which will launch in the carmaker’s home market first and joins hybrid and plug-in hybrid versions, will be offered as standard with a 39.2kWh battery pack, which has been homologated for a 193-mile (312km) combined cycle range. Both variants will be front-wheel drive only. As with the Kona EV, the smaller battery will also get a lower-powered motor. The 64kWh pack gets a 150kW motor that enables the e-Niro to accelerate from 0-62mph (0-100kph) in 7.8s. In the case of the 39.2kWh pack, motor power drops to 100kW, giving a 0-62mph (0-100kph) time of 9.3s. 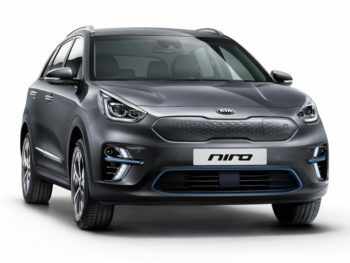 The e-Niro gets Kia’s usual seven-year/100,000-mile warranty which includes the battery pack and electric motor, and will debut in European specification at the Paris Motor Show. To date, the existing hybrid and plug-in hybrid variants have sold 200,000 units globally since their launch in 2016 – with more than 65,000 sales of the hybrid crossover taking place in Europe.